2-day tryout for Japan Professional Baseball League. Japanese Independent League, Shikoku Island League Plus, and SDSA hold a tryout for Shikoku League teams and its affiliated teams in San Diego. 11 players were offered contracts from Japanese Independent League Teams and the affiliated collegiate summer league teams, SAMURAI San Diego and the San Diego Mavericks. 2 Japanese Independent Baseball Leagues and SDSA held a tryout at Chukchansi Park, home field of San Francisco Giants 3A Fresno Grizzlies. 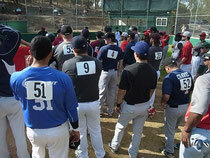 80 players attended this tryout and 8 players were offered playing contracts from Japanese Indie League teams. 1 player was invited for the spring training by an MLB organization. SDSA provided 6 American players with a playing opportunity at the Japan Winter League 2013. Players attended a 2 week length winter league series in Shikoku Island, Japan. 3 players were offered professional playing contracts from Japanese teams. 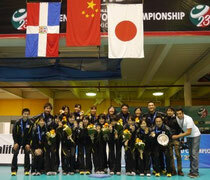 SDSA supported the Japan Women's U23 Volleyball Team, which attended the FIVB Volleyball World Championship Mexico 2013. The Japan Team went to the final round and won the bronze medal. SDSA supports international students athletes who play in colleges and high school in the U.S.; including in such sports as Baseball, Soccer, Golf, Swimming, Water Polo, Martial Arts, etc. SDSA also supports international students to become certified athletic trainers. SDSA students were accepted as ATC certified athletic trainers, and received the opportunity to work with professional sports organizations; San Diego Chargers, etc. One of SDSA management's players, Eri Yoshida, played for the Hawaiian Professional Baseball Organization, NaKoa Ikaika Maui. Japanese Fans and Media visited Hawaii to see her pitching. 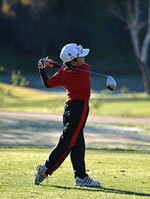 SDSA Junior Golf Players went to the 2013 Junior Golf World Championship, Callaway Junior World Championship, FCG Junior Master Championship. SDSA Junior Golf Player received the U8 Girls Player of the Year Award. SDSA managed a collegiate summer league baseball team in San Diego. The team was composed of 20 American college ball players and 10 Japanese college ball players. Mr. Yoshihiro Doi, with 13 years of Japan Big League experience, coached SAMURAI San Diego as a pitching coach.